Muahahahahaha!!! I found the above picture on Google Images, and I just love it because it reminds me of the Stampin’ Up! Hallowe’en Scenes Thinlits Dies. You can see the full post for that card by CLICKING HERE. So, how do you celebrate Hallowe’en? My sons are past the trick-or-treat stage (by more than a few years), so we stay home and hand out candy to the kids that visit the house. We don’t get many trick-or-treaters any more; the neighbourhood kids all grew up around the same time as mine, and not many younger families have moved in; we’re in a pretty ‘established’ neighbourhood. However you celebrate, I hope you have a safe, fun time! Remember to keep your pets safe indoors, too! I want to share a reminder with you – because there’s nothing more scary than missing out on a good deal! 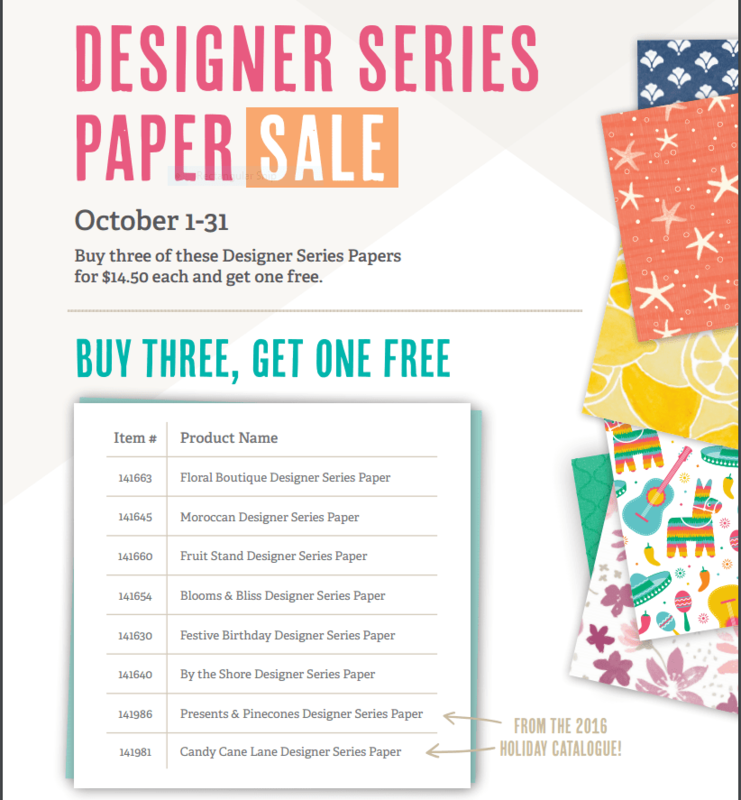 TODAY is the LAST DAY to order your Buy Three, Get One Free Designer Series Paper! I’ve stocked up on mine, and I’ve already started using it for my craft fair projects. I love the fact that 2 of the newest Christmas papers are included in this great deal! That’s it for now! I’ll be back again tomorrow with another post. 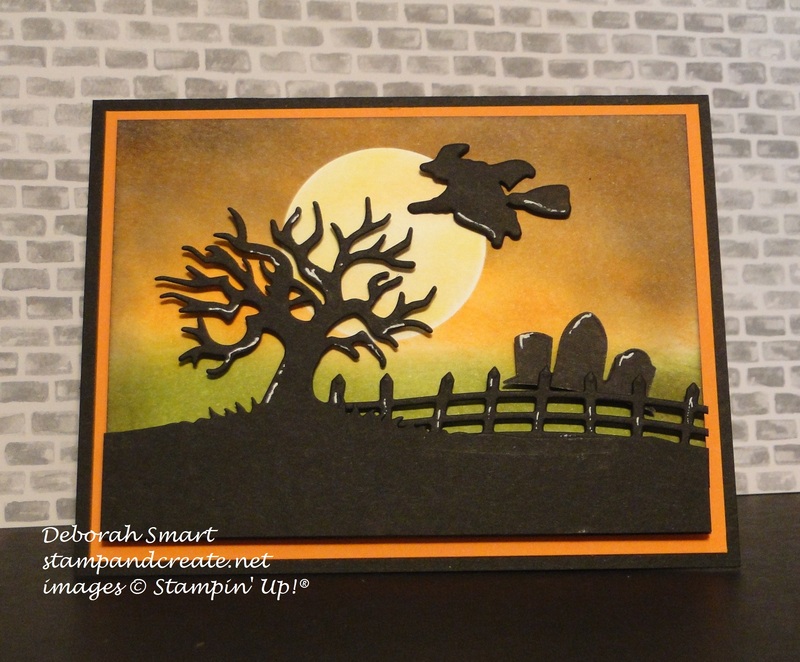 Until then – Happy Haunting (and stamping)! Previous Previous post: Time Flies When You’re Stamping! 24 Hour Stampin’ Up! Birthday Sale On Now! Celebrate Canada Day With FREE Products! Happy Halloween, Deborah. Love your card!